Sarah Clarke and Sandro Mangion clashed at a UN summit. A United Nations consultant has accused the Foreign Affairs Minister’s private secretary, Sandro Mangion, of verbally attacking her. 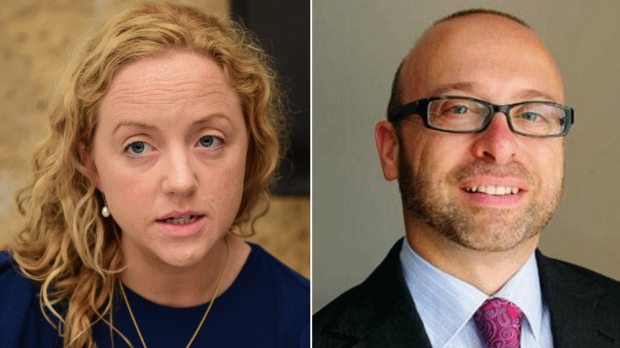 Sarah Clarke, who also serves as an advocacy and policy manager at the organisation PEN International, claimed Mr Mangion said she was a “biased s**thole” in reaction to comments she made on a speech by Minister Carmelo Abela. Writing on Twitter, Ms Clarke said she would be reporting the incident to the UN’s Assistant Secretary General for Human Rights, Andrew Gilmour. Contacted by this newspaper, Mr Mangion said he was not referring to Ms Clarke specifically but to the “unscrupulous network through which she is obviously being fed unproven allegations and that she kept parroting without having bothered to check her facts”. Mr Mangion said his words had to be taken within context. He said Ms Clarke hurled accusations at the Foreign Minister after being given a copy of Mr Abela’s speech at a UN event in Marrakech. “She was not interested in listening to replies and simply kept throwing back the same allegations,” he said. As the minister rose to head to another appointment, Ms Clarke followed, he continued. “It was at that point that, as I felt she was acting in an inappropriate manner and that she should have engaged the minister outside, calmly, I uttered the words “biased” and “s**thole” in a low voice,” Mr Mangion admitted. He added that he “apologises profusely” if she was offended, insisting he was not referring to Ms Clarke. International organisations, including the International Press Institute and the European Centre for Press and Media Freedom, condemned Mr Mangion’s comments. No replies were forthcoming when this newspaper asked whether any action would be taken against Mr Mangion. A government spokeswoman said Mr Abela was “aware of the tweet” and re-ferred to Mr Mangion’s reply.